Explore the amazing Ha Giang "global geo-park of rock"
Ha Giang is the northernmost province in Vietnam, and utterly off the tourist trail. 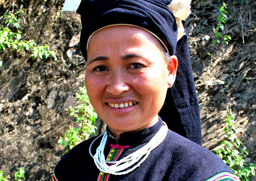 Ha Giang is home to approximately 22 ethnic minority groups who are to this day strongly attached to their traditional ways of life. Almost isolated from civilization, they live peacefully together in a magnificent world of natural beauty. Ha Giang’s landscape is made up of sweeping valleys, karst formations, meandering rivers, dense forests and stilt houses with thatched roofs. 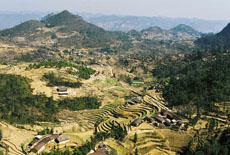 Quan Ba is famous for its elegantly shaped rice terraces while Dong Van boasts a unique rock plateau called the "global geo-park of rock". 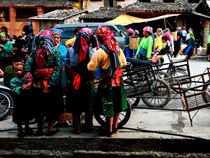 Meo Vac hosts an ancient bartering ethnic market, which has remained unchanged for several hundreds of years. Combined with a visit to Bao Lac village and the impressive Ban Gioc waterfall in Cao Bang, your trip to the far north of Vietnam will leave nothing to be desired. 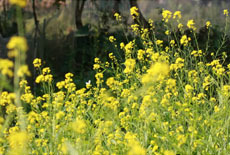 A journey to a paradise of pristine nature and ancient culture! 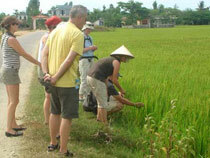 You will be picked up by your guide and car at your hotel in Hanoi, and driven to Ha Giang, via Tuyen Quang province. Along the way, you will see a picturesque landscape of rolling hills, quiet villages and lush rice paddies dotted with palm trees. Stop en route to visit a village of black Tay ethnic people. Arrive in Ha Giang town in the late afternoon. Overnight at homestay. 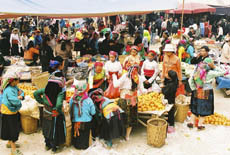 After breakfast, drive to Dong Van Plateau situated at 1025m above sea level and inhabited by H’mong and Tay ethnic groups. Stop at the Heavenly Gate of Quan Ba before arriving at Yen Ninh- a beautiful valley nestled amongst green mountains. Walk through Pho Bang, known to tourists as the “town falling into oblivion”, home to the Hoa and H’Mong ethnic people. The locals have kept their laidback lifestyle. Their clay houses are decorated with a pair of couplets written in Chinese scripts with wishes of good luck and prosperity. Continue your tour with a visit of the Palace of H’Mong King Vuong Chi Sinh built in 1914 and now a symbol of the glorious past of the H’mong people. Night at a local guesthouse in Ha Giang. If you are lucky, you may have a chance to visit Dong Van market held every Sunday. In the early morning, ethnic people from near and far carrying vegetables, fruit, chicken cages, birdcages and even pigs, buffalos or cows flock to the market for bartering. The atmosphere is very excited and enthusiastic, as after days of strenuous work, they are gathering here to exchange their products and have fun together. And one thing they never miss is “Thang Co”, a delicacy of the northwest area made of beef organs. Ethnic men come here, squat to eat Thang Co, drink wine and chat until drunk. When the sun sets, they return home on their horse’s back led by their wives. 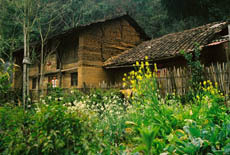 After breakfast, you depart to Meo Vac village inhabited by the Lo Lo and Pu Peo ethnic minority people who still retain their cultural traditions and traditional costumes. You will enter the border area with Yunnan province in China sculpted with an amazing karst landscape. You will hike down to Meo Vac valley, a beautiful valley filled with picturesque terraced rice fields, winding rivers and peaceful villages nestled at the foot of the hills. You continue the journey to Bao Lac crossing Ma Pi Leng Pass. In good weather, this pass makes for an amazing picture with mountains shrouded in cloud and the poetic Nho Que river winding its way to the horizon like a silk ribbon. This is a place where heaven and earth meet. Night at a hostel in Bao Lac. Continue your adventure with a morning drive to Cao Bang province. Stop en route, to shake out your legs, shoot nice photos and get in touch with local people. Overnight in Cao Bang. Heading out of town, you start venturing towards the famous Ban Gioc Waterfall, the most beautiful waterfall in Vietnam. On the other side of the waterfall is Chinese territory. 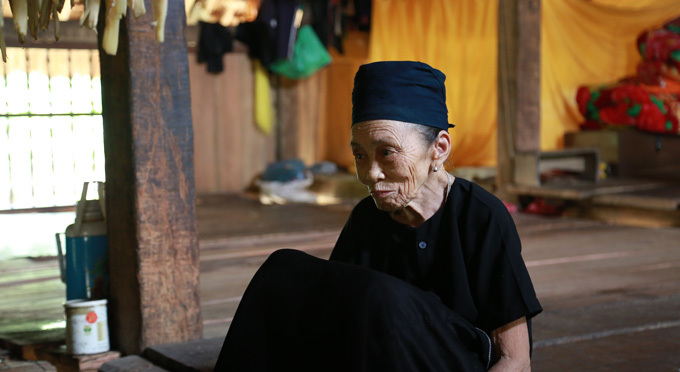 En route, take a short hike to villages of Nung and Tay ethnic people. Arrive at the waterfall, and get on a raft that will take you to the front of the waterfall in order to take picture of this spectacular setting. Picnic lunch near the waterfall to enjoy its fresh atmosphere. Continue with a visit to the Nguom Ngao Cave before returning to Cao Bang. Overnight at hotel. Free time to visit Cao Bang until you return to your vehicle and drive back to Hanoi. Several stops en route. Arrive in Hanoi. Transfer to your hotel. Asiatica Travel’s services end here. Please note that the hotels mentioned in this list are for reference only. Depending on availability and your preference, they can be changed. If we are unable to book any hotel, it will be replaced by another hotel at least of equivalent standard and value. This trip is organised for private group only. The tariff depends on the number of participants and the tourist season of the year. Please click “Customize this trip” to get the price of your group and your travel date. Note: Please note that due to cost efficiency, we only organize tour for at least two people. Hotels (based on 2 persons/room) as mentioned in the program. Please, click at "Read more" for details! Situated on the bank of Red River, Hanoi is considered a pearl of Southeast Asia. With historic temples and pagodas, well-preserved colonial structures and exquisite cuisine, Hanoi offers its guests a unique and charming experience to be found nowhere else. Ha Giang is the northernmost province of Vietnam, a rising destination for adventure travelers in Vietnam. Its remote areas reserve a number of delights for you: awe-inspiring landscape, untouched culture and warmhearted people. 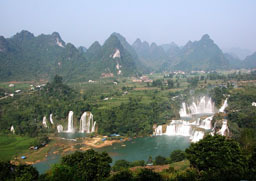 The Bao Lac district is located in the far north Cao Bang province of Vietnam. Close to the border with China, this mountainous area is home to 50,000 inhabitants who live mainly in small villages in remote areas without water supply and even electricity. This is the poorest region in Vietnam. 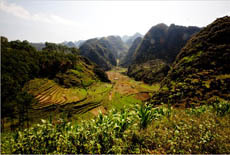 Around 272km from Hanoi, Cao Bang is a mountainous province in far-north Vietnam, near Vietnamese-Chinese border. Cao Bang is mostly covered by the jungle and that was the reason why Uncle Ho chose it as the base for the country revolutionary in 1950s. It is a mysterious land of spectacular sceneries and historical significance. 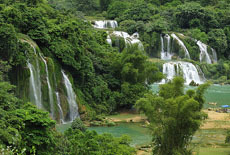 Cao Bang has a number of scenic attractions like Ban Gioc waterfalls, Nguon Ngao cave, Lenin stream, Thang Hen Lake and many others. These reviews are objective opinions of our customers and we only publish those agreed by the customers. Please note that not all ready-made tours on our site are reviewed, as 90% of our customers requested a tailor made tour. For more information, please read our Testimonials Page. This tour is designed with balanced activities and pace. If you want to customize it, you may always change its itinerary and accommodations according to your needs. Admire the splendid waterfall of Ban Gioc. Any special request? Please enter here, this help us make our offer best meet your need. How do you know about Asiatica Travel? Now click SEND to submit your request to us. We will reply to you with a quote within 24 hours. ICT03 - Indochina Essence, 16 Days - Ab US$1178 /Pers. 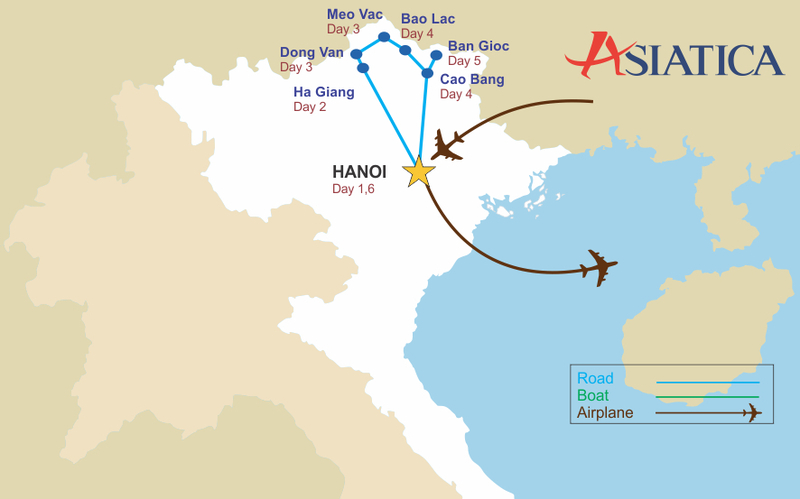 VCT17 - Vietnam Best Holiday, 17 Days - Ab US$1032 /Pers.